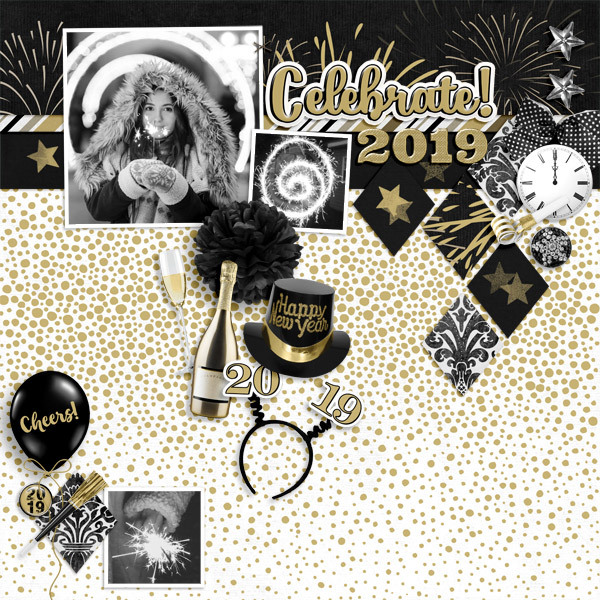 You'll be ready to celebrate with the New Years Party Collection Mini featuring fun black and gold embellishments and papers. New Years Party Paper Mini includes six, 12x12 inch, coordinating background papers which are quality checked and saved as high-resolution, 300 dpi, JPG files. 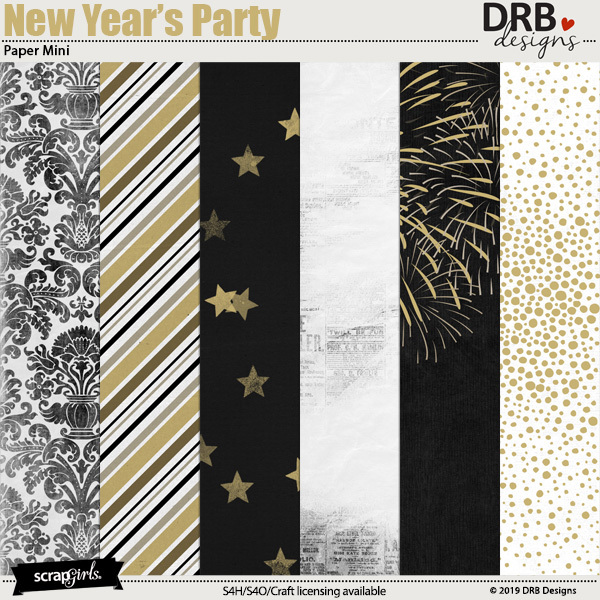 New Years Party Paper Mini is a part of the New Years Party Collection Mini. 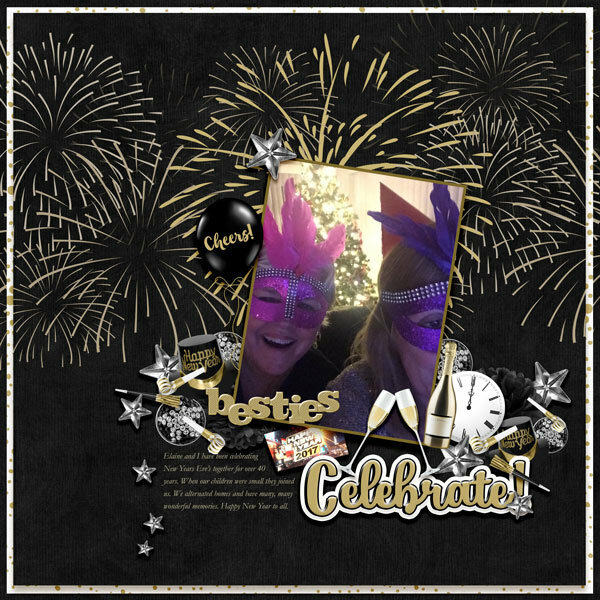 You'll be ready to celebrate with the New Years Eve Collection Mini featuring fun black and gold embellishments and papers. 3 Products packed together to save you money! This Value Pack includes a Full Collection, an Embellishment Mini set and a Paper Super Mini set. In the Teal Zeal Collection, you'll find richly textured and papers in vibrant to soft teal tones and a touch of complimentary coral and green hues. It's filled with glittery embellishments and versatile word art. Create your own custom framed board with cork board, chalkboard, or burlap/grasscloth interiors with this ScrapSimple Paper Templates: Build-a-Board. You can mix and match pieces to create a custom look that's just your own! Add big summer quotes to your digital scrapbooking layouts and photobooks with this new XL seasonal quote kit by Brandy Murry. The set includes: 16 papers 12" x 12"